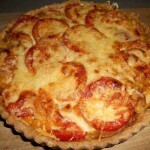 A lovely tart to that's perfect for summer evening dinners in the garden. 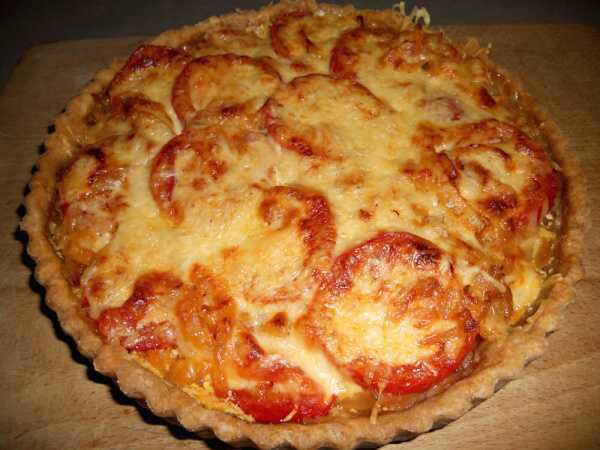 There's lots of debate about the use of ready made pastry and there's nothing wrong with using it for this tart but I would say to have a try at making your own - it's quick, easy and I think it can't be beaten. 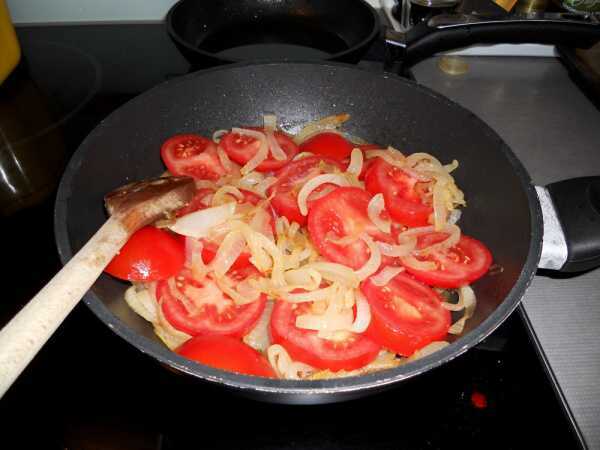 Slowly saute the thinly sliced onions in the olive oil. Heat the oven to 180°C. 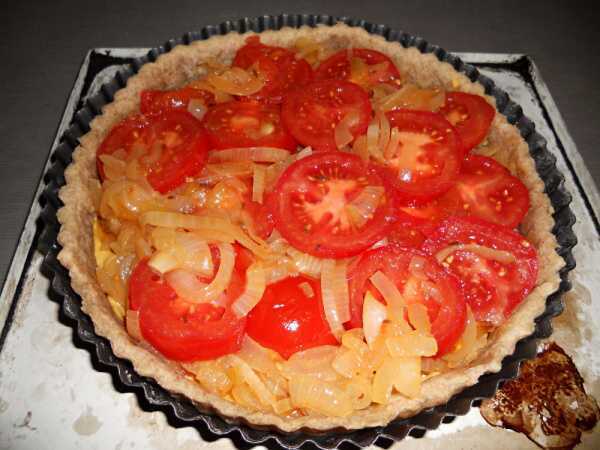 While the onions are cooking make the *pastry* and use it to line a fluted flan dish. Put some parchment paper on the pastry and fill with baking beans. Bake the pastry 'blind' for 15 mins. 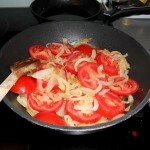 When the onions are soft add the sliced tomatoes and cook gently for about 5 minutes. 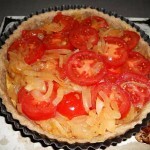 Allow the onions and tomatoes to cool slightly then carefully fill the pastry case. Season with black pepper and herbs if you're using them - I didn't but I did add cumin seeds. 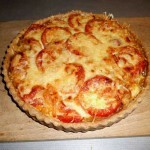 Sprinkle grated cheese on the top. Bake for approx. 30 mins. *Note on the pastry. 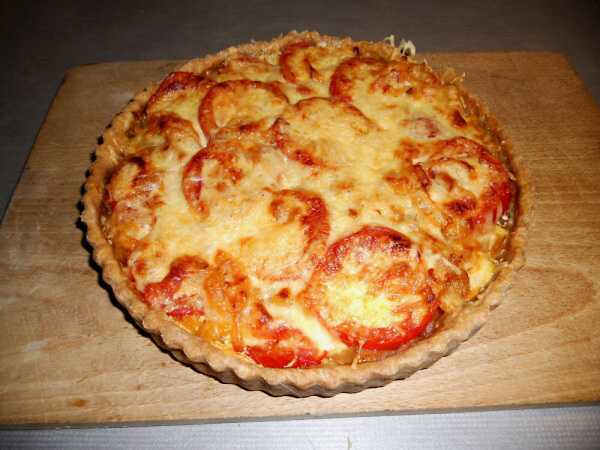 I used half white and half wholemeal - the slightly 'nutty' flavour of the wholemeal is perfect with the tomatoes. Serve with whatever you like - salad is perfect - we had new potatoes as well.